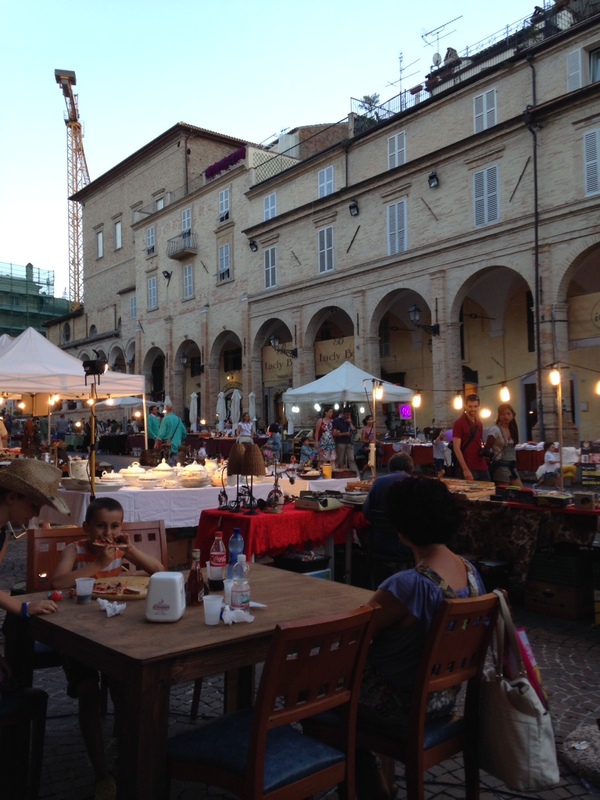 Every Thursday during July and August the beautiful city of Fermo in Le Marche plays host to a huge night market. The marked is packed with all sorts of stalls selling antiques, crafts, art and locally produced food, including delicacies like fresh truffles. People travel from all around to visit and it really starts to come alive after 10pm. The main hub of the night market is in the square, Piazza di Popolo, and spills out onto the streets leading off it. There are plenty of eateries around the piazza to sit and people watch (my favourite pastime), grab a drink or some dinner. We stopped at a tiny bar (no seats inside) which served pizza. 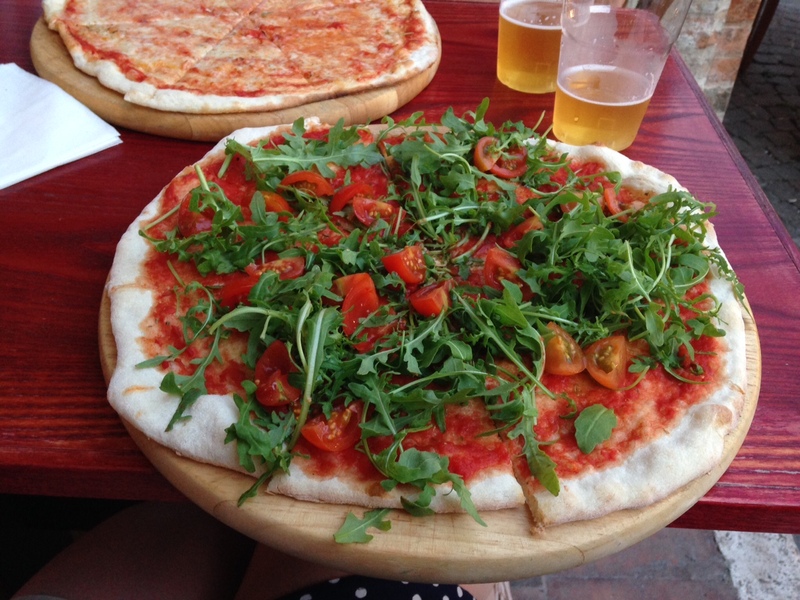 I thought I’d ordered a slice….clearly not…..but it was exceptionally good! There are very few details of this market online, in fact we almost didn’t go because I was unsure if it was actually being held. Much to my relief the market was on and parking was easy. As you drive up towards the city there are large car park signs leading to car parks below the city walls and there is a lift which takes you up to just off the main square. The hustle and bustle of the market is a tremendous experience not to be missed!